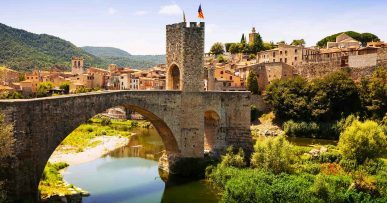 Spending summer in Spain or Portugal means enjoying great weather, and where better place to soak up the sun than the beach? Here are some of the top beaches on the Spanish and Portuguese coast so you can start planning your holiday before you pack. Beaches for families, all ages, surfers… take your pick! 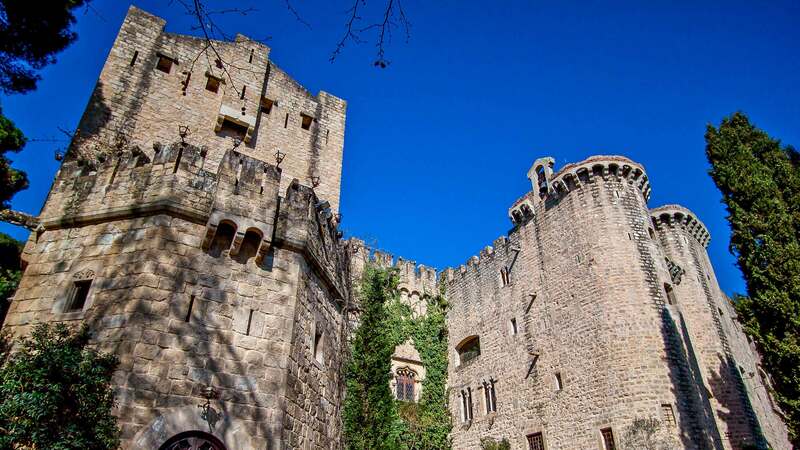 • Les Casetes del Garraf (Barcelona): Besides the popular city beaches such as Barceloneta or Mar Bella, Barcelona also boasts many other nearby beaches, including Les Casetes del Garraf, with nearly 400 metres of fine sand and shallow water, which makes it ideal for kids. Much of its charm comes from the multicoloured beach huts along the shore. The beach bar offers superb views. A great place to spend an unforgettable day. 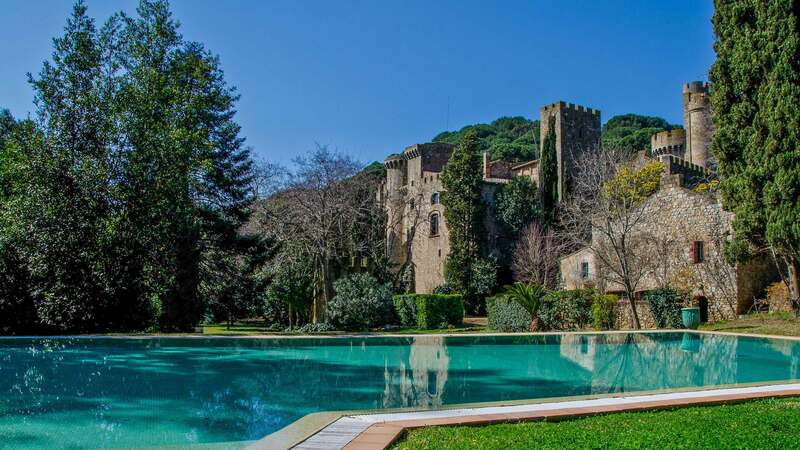 • Canet de Mar (Barcelona): This town in Maresme county boasts amazing beaches only just over an hour away from Barcelona. Pick a spot for your towel along the 1,600 metres of fine, golden sand. The water is deeper than in Garraf and there is a lively promenade. But that’s not all! 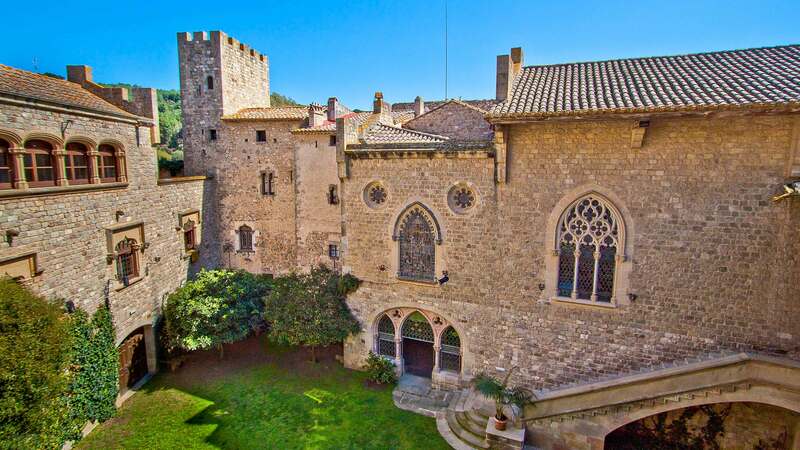 Canet de Mar also has several examples of Modernista buildings, including the lovely Lluís Domènech i Montaner house-museum and the highly original Casa Roura. 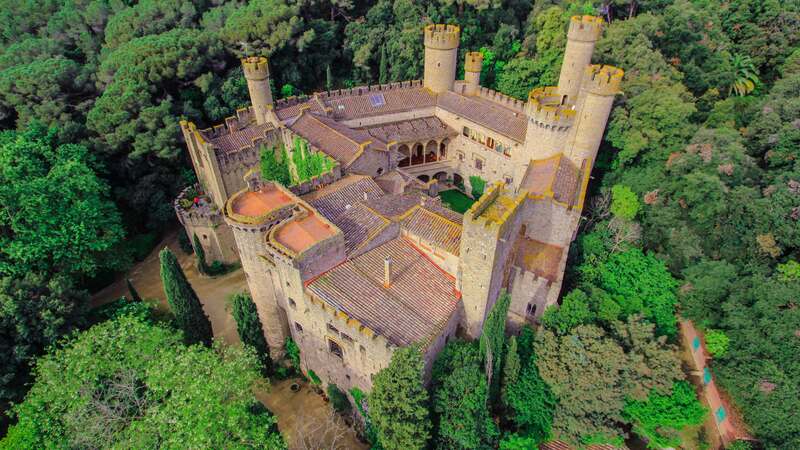 Game of Thrones fans will be thrilled to hear that Canet de Mar is home to the Castle of Saint Florentina, House Tarly of Horn Hill in the series! 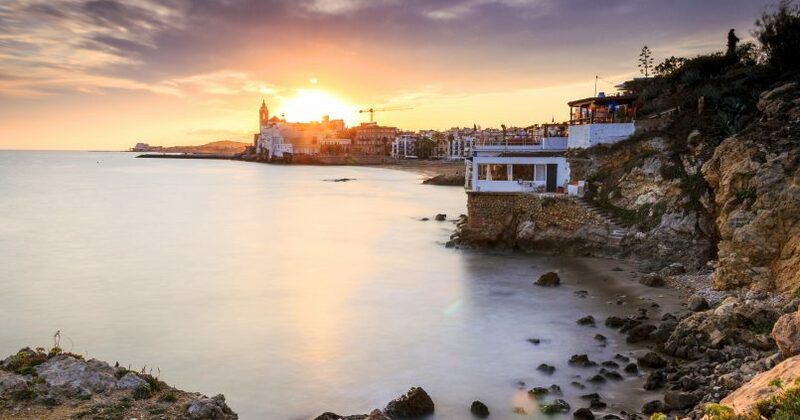 •Sitges: San Sebastián beach in Sitges is one of the most popular, together with La Fragata and La Ribera. They are all fairly flat, which makes them perfect for kids. They also have views of the lovely church and are very central, so you can do a spot of shopping or go for a stroll among the white houses after a quick dip if you fancy. 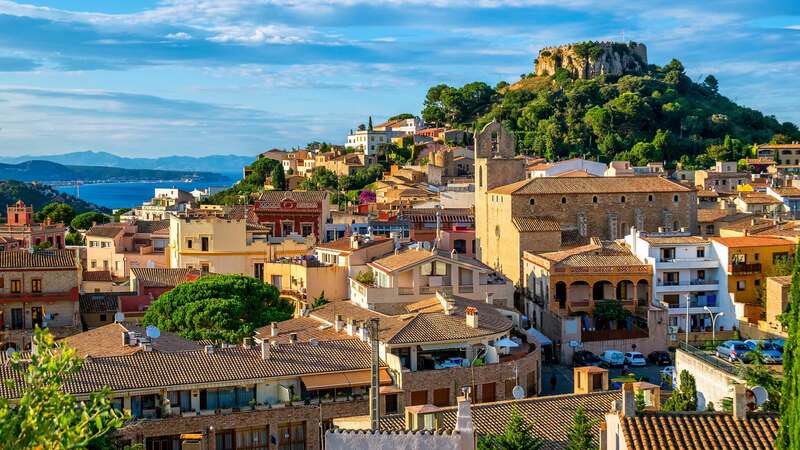 • Begur (Costa Brava): It’s hard to choose just one of the beaches and coves around Begur, as they all have a special charm. But if we had to pick, we’d go for Aiguablava, one of the best coves in the whole of Catalonia. Its name, ‘blue water’, gives you an idea of the beautiful sea in a stunning setting. Need we say more? 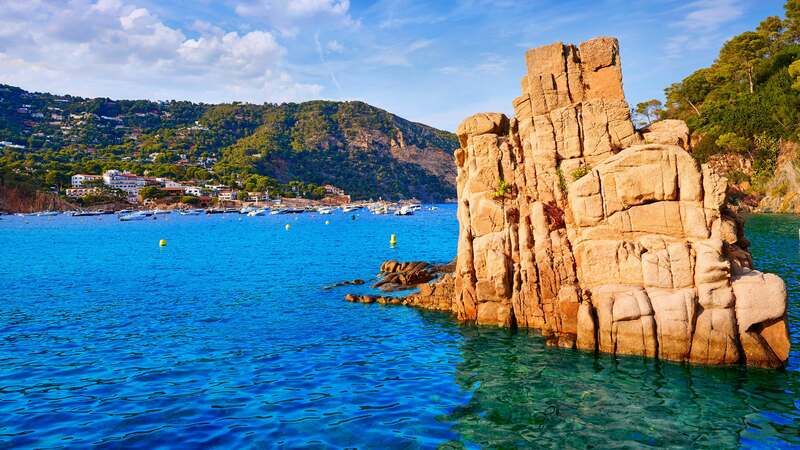 • Calella de Palafrugell (Costa Brava): This idyllic fishing village makes the perfect picture postcard for a summer holiday on the Costa Brava. Its white houses are speckled with the odd dash of colour by the shore. It is also home to the popular Cantada de Habaneras de Calella de Palafrugell, which brings together followers year after year. 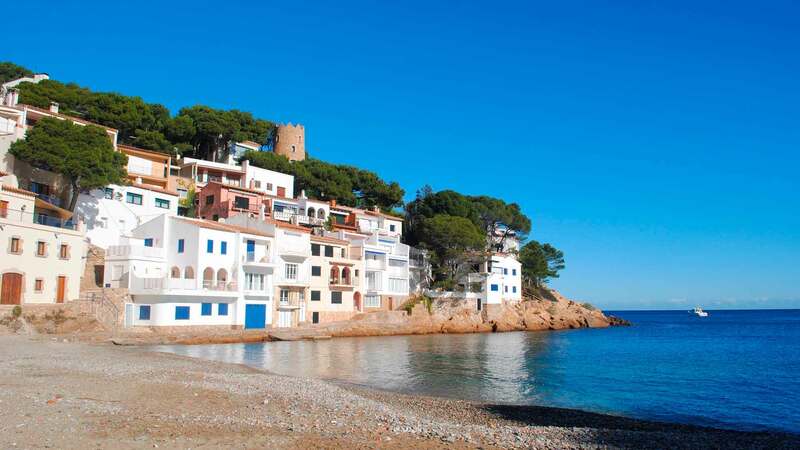 Llafranc is within easy reach along the beautiful coastal path. 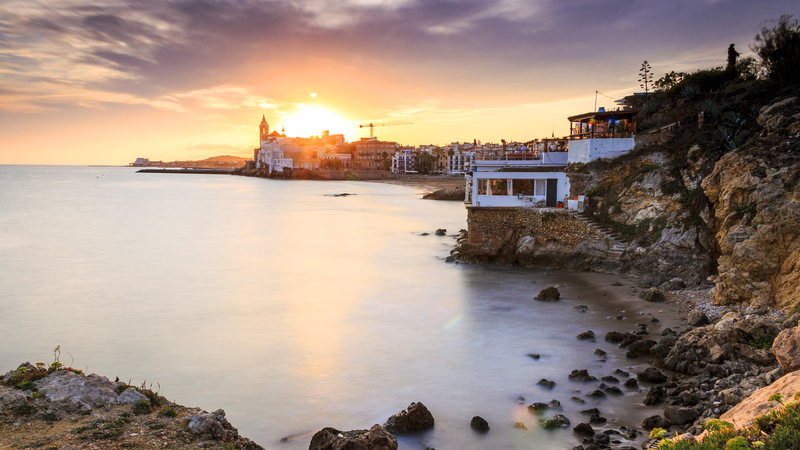 •Málaga: The city of Málaga has some of the loveliest beaches on the Costa del Sol. Top of the list has to be Playa de Maro in Nerja. Its crystalline waters make this beach hidden away between the coves and cliffs one of the best in Spain. Don’t leave without taking a peek through the Balcón de Europa, a magnificent viewpoint in the centre of Nerja looking out over the Mediterranean, or visiting the famous Cuevas de Nerja, where stalactites, stalagmites and other rock formations make up a natural underground paradise. 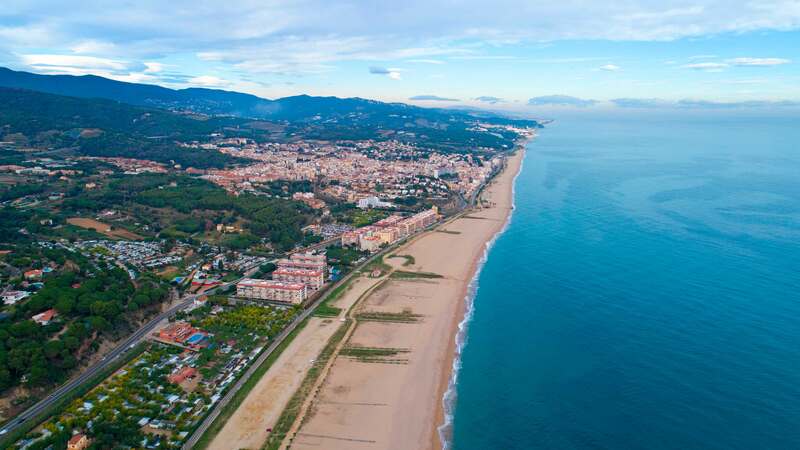 • San Sebastián: Going to San Sebastián and not visiting the breathtaking Playa de la Concha is like going to Seville and not visiting Plaza España! La Concha is one of the most impressive urban beaches in the world, boasting over 1.5 km of white sand and stunning views over the Bahía de la Concha. If you’re on the northern coast and fancy wilder beaches or a spot of surfing, you’ll love Zurriola beach, in the Gros district. It attracts surfers from all over the world! • Valencia: The most famous beach in Valencia is definitely Playa de la Malvarrosa. Very close to the city, this urban beach is popular with locals and tourists alike. Its bustling promenade has lots of bars and restaurants and plenty of things to do. La Patacona and Las Arenas are two other great beaches in Valencia. They all have excellent restaurants where you can enjoy a typical paella. • The Algarve: Some of the best beaches in Europe are in the Algarve. Praia Marinha, is in the top 100 loveliest beaches in the world, and it’s not hard to see why! Its craggy rocks, caves and fissures make up a unique landscape, but also make it hard to get to. If you don’t have a boat, you’ll need to climb down 100 somewhat slippery steps, so pack some decent footwear. Praia da Falésia, east of Albufeira, is another great beach. It’s not every day you get to swim in the sea with dramatic cliffs as a backdrop. 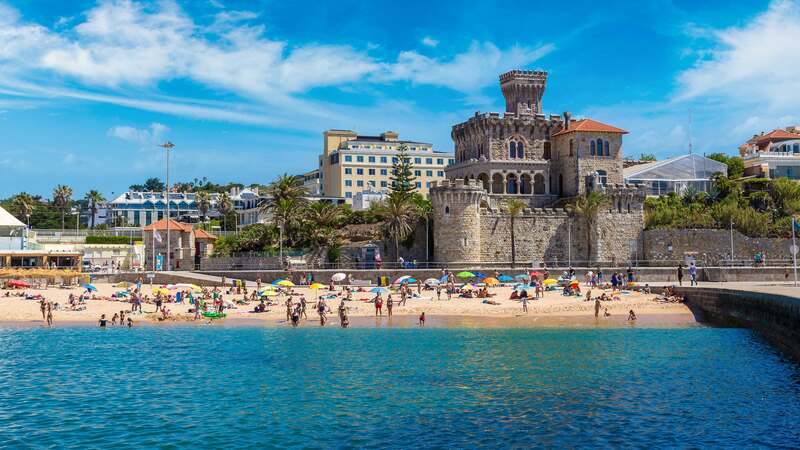 • Playas de Lisboa: Estoril is home to some of the best beaches in Lisbon, from Carcavelos, popular with young people and surfers, to quieter stretches such as Praia do Tamariz, perfect for families. 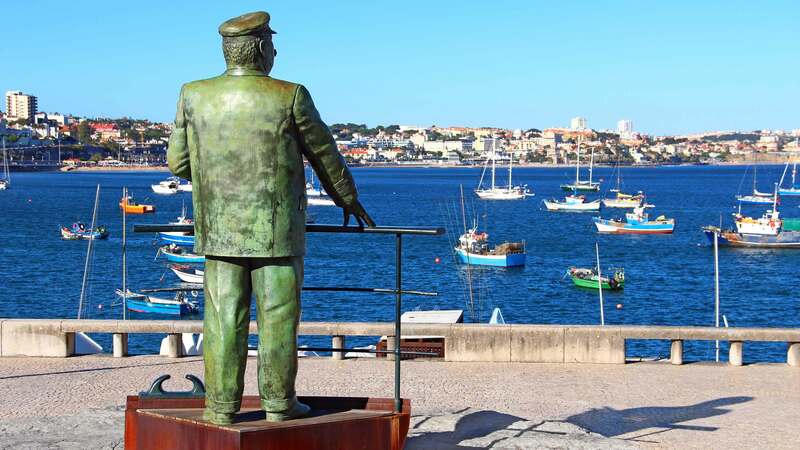 The historic fishing town of Cascais is well worth a visit for its beaches. Praia da Rainha in the centre of Cascais is one of the loveliest and was once Queen Amélia’s private beach! 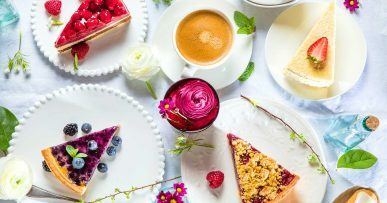 Here are some more ideas of what to do around Lisbon to make the most of your holiday.Estoril is home to some of the best beaches in Lisbon, from Carcavelos, popular with young people and surfers, to quieter stretches such as Praia do Tamariz, perfect for families. 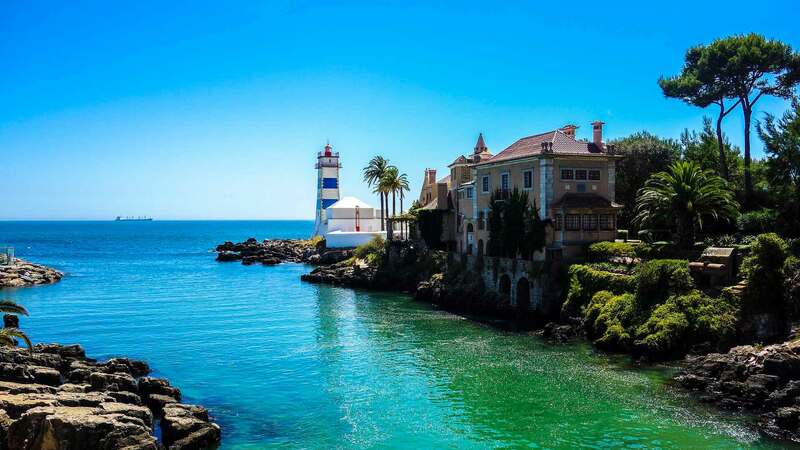 The historic fishing town of Cascais is well worth a visit for its beaches. Praia da Rainha in the centre of Cascais is one of the loveliest and was once Queen Amélia’s private beach! Here are some more ideas of what to do around Lisbon to make the most of your holiday.